Each county has its own unique set of circumstances, but they play out against familiar themes in North Carolina’s most economically distressed counties. In Scotland County I recently met with Kevin Patterson, a local boy who had moved from budget director to county manager. The county is struggling with 17% unemployment. In the 1970s the county attracted at least one new industry a year that brought good manufacturing jobs, but now many of those businesses have gone away. This year the county eliminated 24 positions, which unfortunately meant that 12 people actually lost their jobs. Kevin implemented furloughs for the remaining employees and there were no salary increases. It is a brutal environment. The county recently received a $1 million grant to create a small business incubator focused on light industry. It is a much-needed bright spot and Kevin is hopeful that it will lead to something positive when it opens next year. Kevin said that it was an easy decision to pay the county’s membership dues, even when faced with many hard economic choices. He valued his experience in our Public Executive Leadership Program (PELA), which improved his “soft skills” in ways that have been important to him, and he got a lot out of the County Administration course. Kevin also talked about the importance of our webinars and strongly encouraged us to do even more of them. They are affordable and provide good information at a time when Scotland County cannot afford to send people to our training. Kevin also would love for his board members to get training on how to work effectively with the media similar to the training he received in PELA. 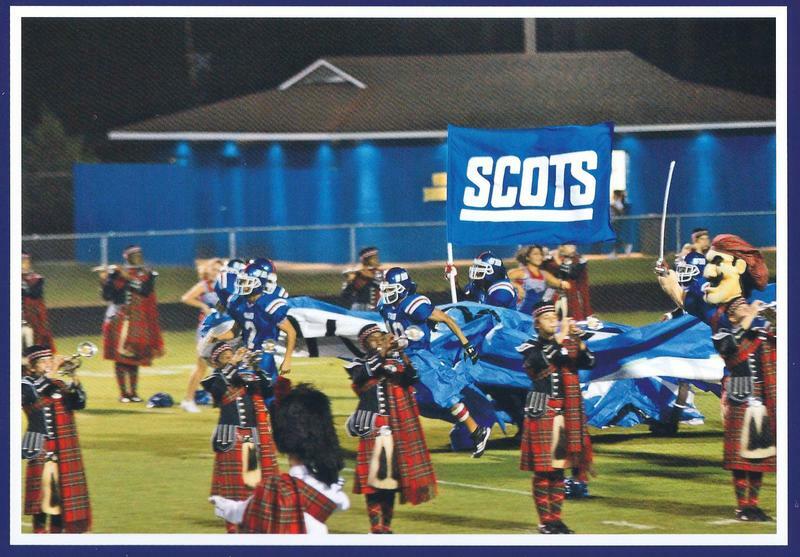 I had lunch with Kevin in downtown Laurinburg and all of the businesses had signs saying “Go Scots.” Scotland County High School was facing its archrival and perennial state power Richmond County in a football showdown in a few days. They had lost to Richmond 17 years in a row. I went into a store and bought a Scots baseball hat and talked to the owner about the upcoming game. She was selling tickets and told me that “people are going crazy over this game.” Scotland County ended up winning the game 41-7 before a crowd of nearly 10,000 people. It was a much-needed morale boost for the county. Mike, I really like the new format for your blog–fun to see the comments and tweets in the sidebar. This is a very touching piece on Kevin and Scotland County. Each employee of the SOG can be proud that the services we offer are so appreciated–and viewed as worth the cost–even by local governments that are struggling economically.